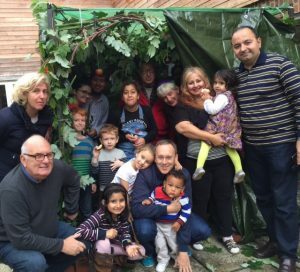 This weekend the York Liberal Jewish Community hosted its second Sukkot (harvest festival) service at the Friargate Meeting House. 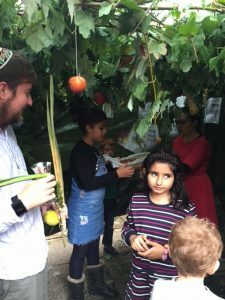 Led by new student Rabbi Gabriel Webber, over 40 members of the community helped to construct the traditional ‘booth’ or ‘sukkah’ out of leaves and vegetation. 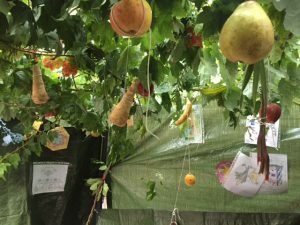 The frame for the sukkah was the same as that used for the community’s first wedding canopy, used for the wedding of Ben and Karen Morris last August.